Solution 1: Client requested an updated website rebuild. 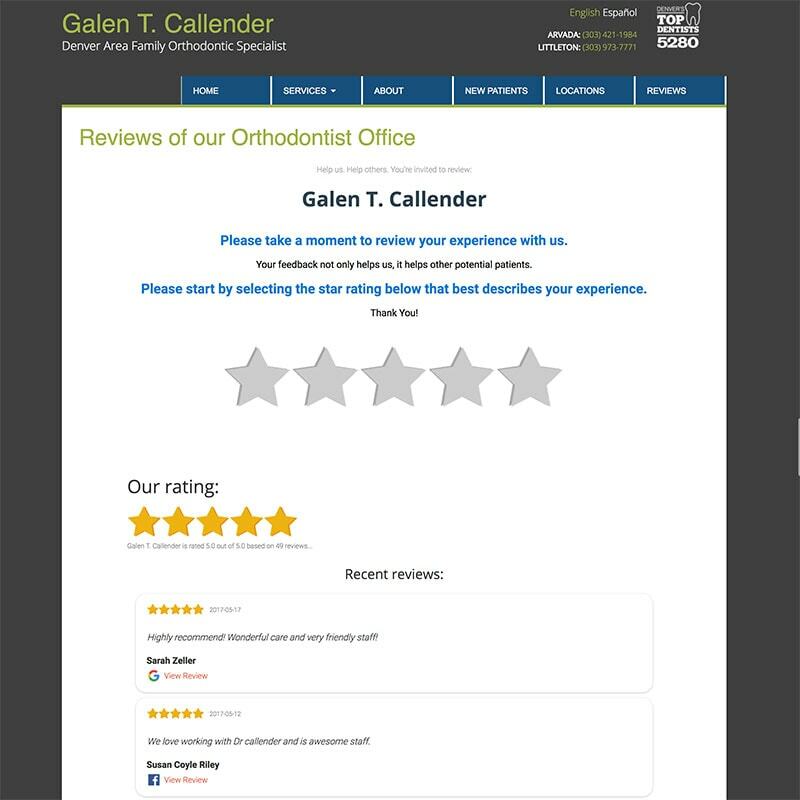 Solution 5: Integration with client review software allowing patients to leave reviews and testimonials without leaving website. Solution 2: Provide a solution for translation of site to Spanish. 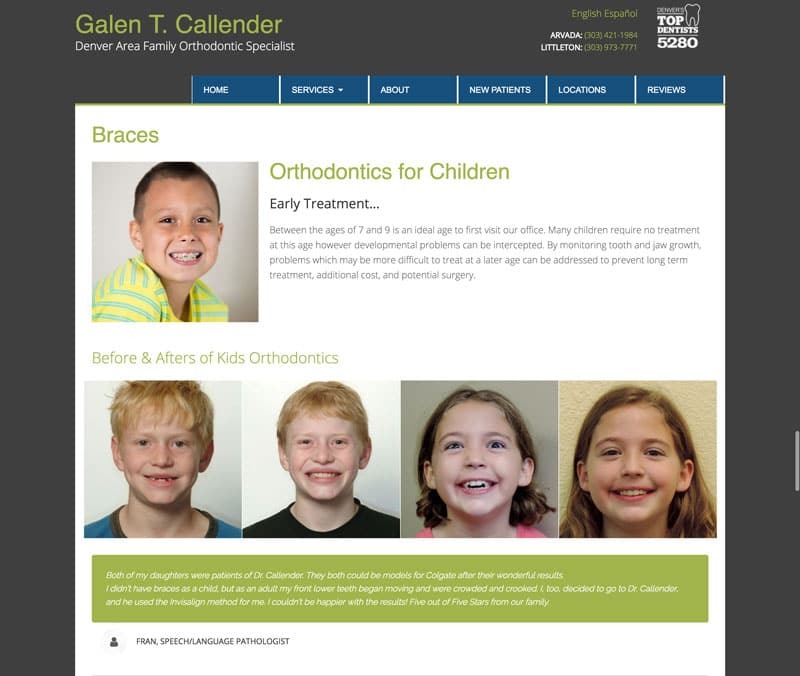 Solution 3: Place important contact information and winner of 5280 accolades at the top for users to see right away. 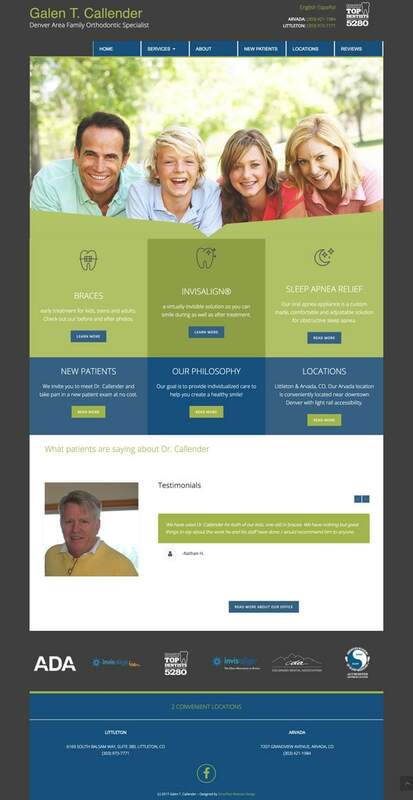 Solution 4: Interesting and engaging page for services noting before and after patient photos and testimonials.